ScotRail has published timetables and diversion routes ahead of the closure of the rail tunnel at Glasgow's Queen Street station. The main tunnel serving the station is to close for 20 weeks - from 20 March until 8 August - as part of a £60m upgrade project. 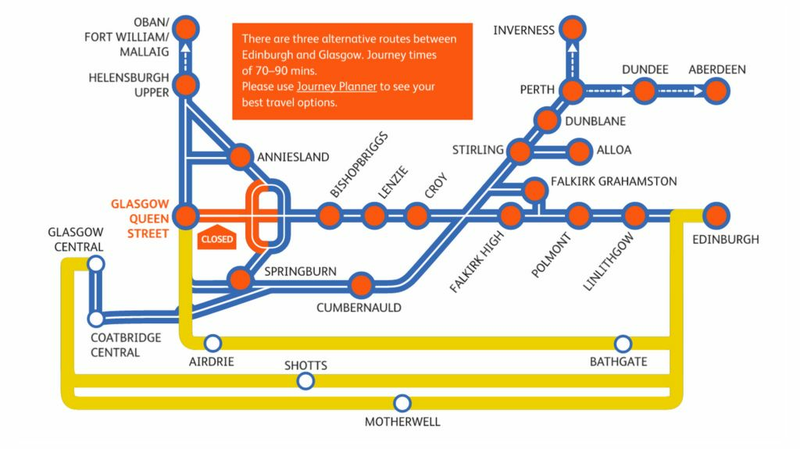 ScotRail publishes timetables and diversion routes ahead of the closure of the rail tunnel at Glasgow's Queen Street station.